How Long Does It Take To Overcome a Poor Customer Experience? So, what are we looking at? First, if a customer has a poor experience, and it is unresolved, from their perspective, it’s going to take 12 positive experiences to overcome the one negative. That’s a lot of work! Couple that with the fact that where there is one customer who complains, there are 26 others that are dissatisfied, but never say anything, things can get tricky with regard to customer loyalty and retention. What’s a company to do? Below are some tips to consider when looking at the customer experience, identifying pain points, and implementing procedures to ensure that customers keep coming back. 1. Are you listening? 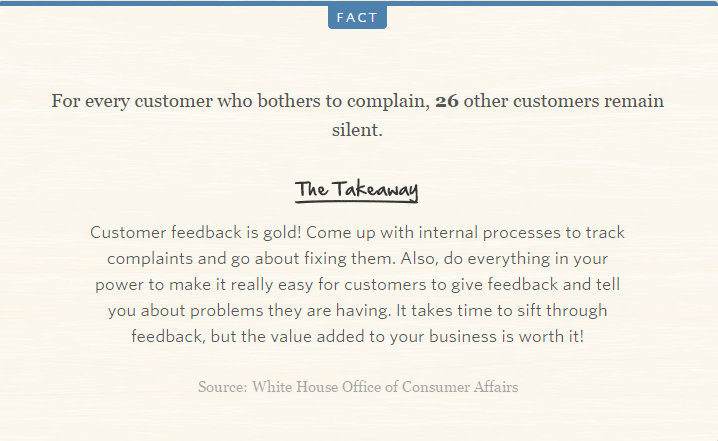 Customers want to tell you what they think, especially when they’re unhappy. Do you have an easy way for them to share their thoughts with you? Review your customer service channels – do you have multiple communication points so customers can share their thoughts with you where they are most comfortable, whether that is by phone, email, social media, or live chat? Make it easy for customers to talk to you; when they feel heard, and their issues are resolved, they will give you that chance to give them 12 positive experiences, long forgetting the one poor experience. 2. What does your resolution loop look like? Often times, when customer issues go unresolved, they shut down. You may never know that they felt the issue was not fully addressed – they just leave and do business with others. If you have a strong resolution loop in place, ensuring that all issues are resolved, following up with the customer to be sure they perceive it as resolved, and looking at trends to pinpoint common areas of customer disconnect to proactively preventing them in the future, you will circumvent a lot of customer loss. Remember, customers will “forgive and forget” to a certain extent when their issues are resolved. 3. How are you measuring customer resolution and overall experience? If you have a solid resolution loop in place, are you certain it is playing out as intended? How are calls handled? This is where customer experience management tools, such as mystery shopping and quality content monitoring come into play. By utilizing these types of services, you will have the opportunity to review customer channels in an objective, quantitative manner. Quality content monitoring allows your already recorded customer service calls to be listened to an evaluated based on an objective performance criteria list – when a company has not used a mystery shopping program in the past, this type of evaluation can give some great insight and give the company a starting place to monitor performance. Customers are tough, and today’s customer is much different than customers even five years ago. Making sure you know what they’re thinking, resolving issues, and striving to make each experience positive will keep loyalty and satisfaction levels high. Ann Michaels & Associates | Comments Off on How Long Does It Take To Overcome a Poor Customer Experience?